Designed from the ground up by Tornado engineers, the Windshear 3000 air mover and carpet dryer combination combines rugged construction with intelligent features. Along with carpet drying, the Windshear was designed to handle clean up operations after fires, floods, or other water damage. Many of our customers simply use the units to move air in restaurants, factories, automotive garages or any other space where a UL/CSA/CE approved fan excels. Why use a box fan when this unit has all the government approvals? 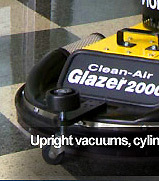 This go anywhere unit is made of durable molded plastic. Unlike other units, the Tornado Windshear employs a unique four point motor mounting system which reduces noise and vibration and adds to long life stability. The housing has been designed to allow for three angles of airflow positions at 0, 30 and 90 degrees and can be stacked on their side for easy storage. 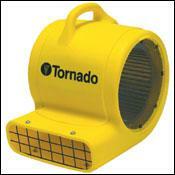 Choose the Tornado Windshear for all of your air moving and floor drying maintenance needs.